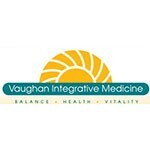 Vaughan Integrative Medicine is a professional medical services provider that offers a comprehensive, holistic approach to health and well being through a combination of alternative and traditional medicine. Our approach is to blend the best of conventional treatments and alternative therapies, taking a holistic approach to wellness and preventative medicine. This is achieved through the practice of Functional Medicine, determining how a particular individual's body functions, and developing a plan involving Therapeutic Lifestyle Changes (TLC), in order to get that individual's body functioning optimally, to avoid or treat disease by living a healthier lifestyle, and to slow the aging process from the inside out. Vaughan Medical Center opened in 1991 in Martinsville, Virginia, about 30 miles north of the present Greensboro location. Today the office is at 1301 West Wendover Avenue, Greensboro, North Carolina, and has recently undergone a name change to Vaughan Integrative Medicine. Dr. Elizabeth Vaughan is Board Certified in both Internal Medicine and Emergency Medicine and by the American Board of Clinical Metal Toxicology. The office is high tech, featuring State-of-the-art computer systems and laboratory procedures, and a highly motivated, caring staff of professionals. We are an ambulatory care center. That is, we don't hospitalize patients. We try to keep you out of the hospital. In this day of narrowly specialized medicine, a patient who is sick enough to need hospitalization will usually require a specialist in the illness or injury which must be treated there.